It is here! Tarpon Season... This is my favorite time of year..
Water tempertatures are in the low 80's. 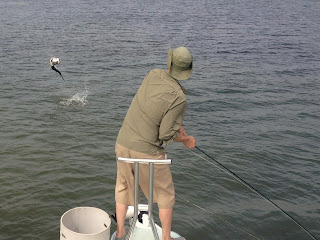 Fishing has been good. 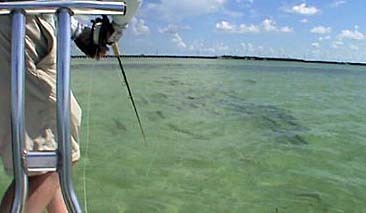 This time of year we find tarpon in the back country basins, channel edges and channels. We also find resident juvenile tarpon in some of the same back country spots.. Soon larger schools will be swimming the ocean side flats.. 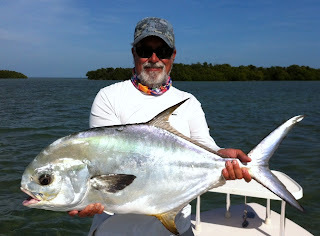 Still some permit on the flats in a few weeks most of them will be off shore spawning. They will be back this June.